ViWinTech manufactures a full line of quality high performance vinyl windows and patio doors. Energy efficient products to enhance the beauty of your home!3/4” Insulated Glass featuring Tru-Warm Edge glass spacer system. Fusion welded frame and sash for greater strength, durability and protection from air and water infiltration. Multi-chambered frame with double weatherstripping provides strength, energy efficiency and maximum air tightness. Full perimeter weather strip keeps cold out and warm in. Integral nail-fin for airtight installation and optional J-channel. Easy rolling, no-jump screen includes adjustable rollers in each corner to set the screen for smooth opening and closing. Door is reversible prior to installation. The low-rise sill was designed to minimize tripping, yet keep water out. Optional dual action foot-lock is available. 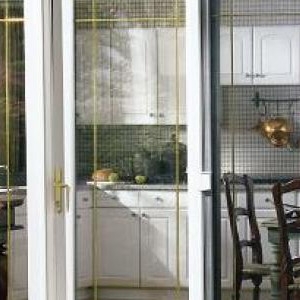 Double weatherstripped interlocking sashes prevent air and water leakage, as well as providing forced entry resistance. Matching handle set with key lock is standard other handle set colors are available. Four heavy duty rollers can be easily adjusted and require no lubrication or other maintenance.